Welcome to the fourteenth day of 31 Days of Simple Organization! To read all the posts in order, visit the Overview Page. One thing I did this week was create a few sub-folders to organize the super-important e-mails until I get around to deleting a ton of my old ones. I also deleted 826 e-mails that I no longer need – progress! 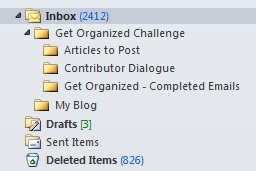 For great tips about how to get your inbox down to zero e-mails, check out Nony’s post about deleting e-mails in bulk. For tips on how to keep your inbox super low, read Crystal’s post about how she keeps her inbox to five or under. 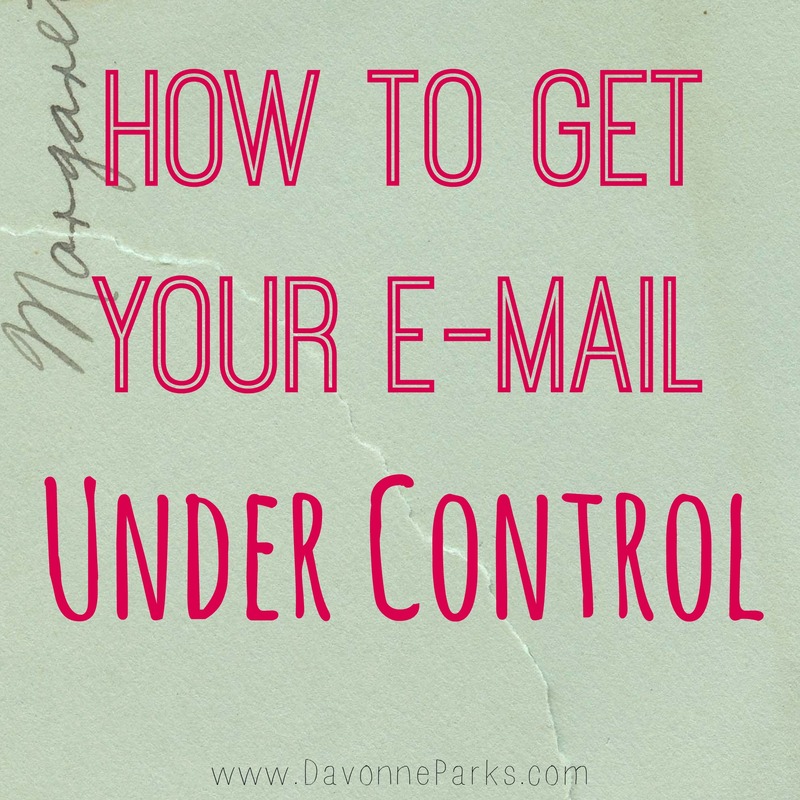 How do you keep your inbox under control (or not)?